Like many people, I am frustrated by the increasing partisanship in both Springfield and Washington. Political gridlock prevents our government from addressing the issues that are most important – including improving Illinois’s economy, investing in education, reducing local property tax burdens and working to increase protections for workers, women and the most vulnerable in our community. Since taking office four years ago, I have worked to find common ground with legislators on both sides of the aisle on the issues that affect the quality of life for residents in my district and throughout Illinois. I have fought for equal pay for equal work for women, the creation of an Illinois Council on Women and Girls, good government reform to eliminate pensions for part-time appointed and elected officials, combating climate change, increased use of renewable energy and the creation of clean-energy jobs, increasing the minimum wage, a balanced state budget, a more equitable school funding formula, common sense gun control measures, protecting women’s healthcare and ensuring that seniors in our state have access to in-home services that keep them independent and out of nursing homes. Changing state government requires the state’s elected officials to lead by example. That’s why one of my first official actions after taking office was to reject a taxpayer-fund pension and healthcare benefits offered to legislators. Regardless of which party and which special interest group supports a particular area of the budget, I will work diligently to identify waste and to look for ways that departments can improve efficiencies and use taxpayer dollars more effectively and efficiently. Any group or agency that receives tax dollars from the state must be held accountable to ensure that funds are not misspent. As a full-time legislator, my top priority continues to be staying accessible to the constituents I represent. 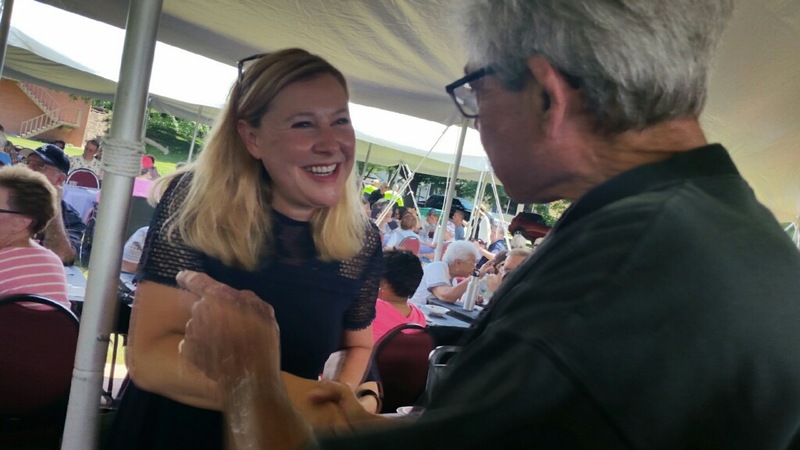 I will continue to do this by walking door to door throughout the community, holding town hall meetings, and through hosting informational events for residents like my annual senior fair, advisory committees and coffee stops. As a citizen legislator, I take my responsibility to serve the 43rd District and State of Illinois with integrity very seriously. I ask you to join me in working for the betterment of our state for our families and future generations. I ask you for your vote on November 6, 2018.